Of the major wine producing countries, only Australia, New Zealand and South Africa allow such a large range, and their wine industries are focused on exports. NO major wine producing country that sells most of its wine domestically allows such a wide range of error on alcohol percentage. The European Union allows only a 0.5% tolerance. So does Argentina. There is no good reason why the United States should not adopt this standard. The wine industry will complain that a 0.5% tolerance presents technical difficulties. 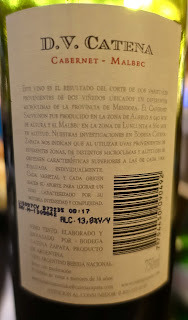 They complain that labels must be printed in advance of the finished wine being bottled. If the wine industries of all 28 EU countries, including Bulgaria, Croatia and Slovakia -- not to mention Argentina -- are technologically able to conform to a 0.5% standard of tolerance, there is no reason the U.S. wine industry cannot. 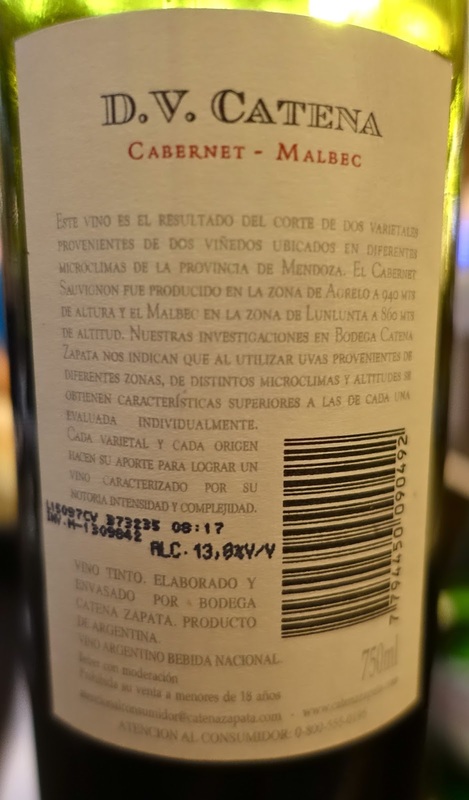 In Argentina, the alcohol level is usually stamped onto a preprinted label. This allows wineries to make late changes to the blend of a wine while still giving consumers accurate information. There is no reason this could not happen in the United States. Every winery knows the exact alcohol percentage of every wine sold in the U.S. Why are they not required to share that information with consumers? Data from 18 years of wine sales in Ontario, Canada, shows that wineries selling their products in North America consistently and deliberately understate the amount of alcohol in wine. They do so because they think the wines will not sell as well if consumers know how high the actual alcohol levels are. This letter is not an argument to restrict in any way the alcohol levels in wine. Wine is a low-alcohol product compared to whiskey and other spirits. Consumers should be able to consume high-alcohol wine if they choose. But the choice to consume high-alcohol wine should be an informed choice. Drivers, pregnant women, people who are sensitive to alcohol -- everyone should know how much alcohol is in the wine we buy. The TTB is supposed to regulate the wine industry not for the ease and comfort of the industry, but for the health and safety of consumers. Please do not permit wineries to continue to hide the amount of alcohol in their products. which is responsible for U.S. laws regarding wine labels. I have sent the TTB an email copy of this letter. Please send your own letter, either a copy of this or in your own words. Jim: Thanks for visiting and for your work on the report. Re Jim Lapsley's comments. If a vintner can choose to increase/decrease a wine's labeled alcohol content to suit marketing, the more the problem for consumers. Beyond that, the system is corrupted. Alcohol content matters to me when I select a wine. "The wine industry should let us know for safety reasons: an accurate label may prevent drivers from becoming dangerously intoxicated. " While I agree with the overall premise of your article, this sentence should be removed. The difference in alcohol between a 12.5% and 14% glass of wine (14.8g vs. 16.6g) is probably less than the margin of error you or your server/bartender makes when eyeballing a 5.0 oz pour. If you accidentally pour 5.6 oz of 12.5% wine, then your glass now contains the alcohol equivalent of a 14.0% wine. Granted, the label on the bottle should be as accurate as possible. But to assume they are all incorrect is false. I provided some bottling QC in a U.S. winery, and every single one of our wines was within 0.5% of that stated on the label. The majority of our wines were spot-on. In the cases where they were incorrect, the alcohol in the bottle was often lower due to the tax increase of selling higher alcohol wines. Any U.S. winery that exports would need to abide by the laws of the importing country as well, so I feel safe assuming that producers who export comply with the 0.5% margin of error. Hello TY.....your addition is more informative and less alarmist than Blake's, but gentlemen, let's not turn back to the days of prohibition or make this a MADD issue.